Boko Haram jihadists have killed 53 soldiers and farmers in three days of attacks in northeastern Nigeria, security sources said Tuesday, in a new show of force ahead of February elections in the West African country. Despite the government’s insistence that Boko Haram is near defeat, the group has recently carried out a string of major attacks on military and civilian targets. “Our troops were completely routed and the terrorists captured the base after heavy fighting,” he told AFP, adding that the base commander and three officers were among the dead. A pro-government militiaman said the jihadists arrived on around 20 trucks and army air support did not arrive until after they had “invaded the base and looted the weapons”. 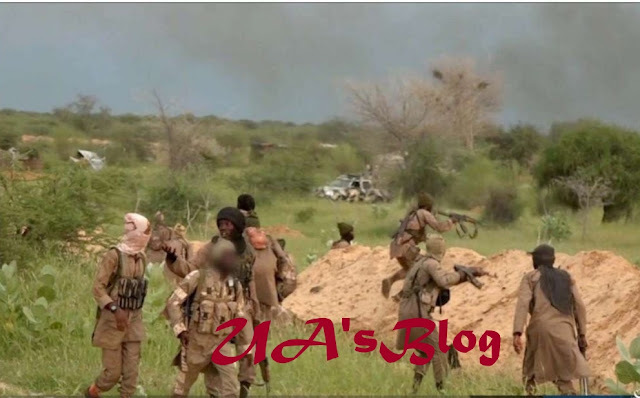 The same day, jihadists also launched a pre-dawn attack on a base in the town of Gajiram, some 80 kilometres (50 miles) north of the Borno state capital, Maiduguri. The jihadists came on bicycles, said Usman Kaka, a farmer who escaped. “They just opened fire on us and continued to fire as we fled,” Kaka said. Village chief Muhammad Mammanti said the assailants had hacked “three people who resisted being abducted”. More than 27,000 people have died since the start of the Boko Haram insurgency in 2009, and 1.8 million remain homeless.